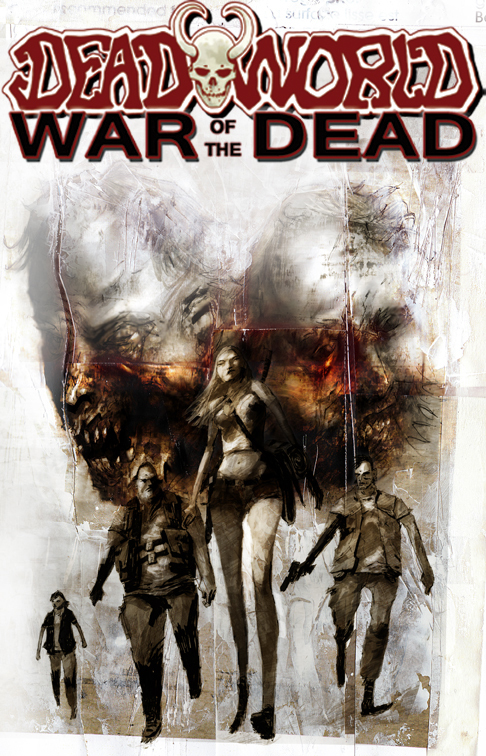 Deadworld is set to return this August in a new miniseries titled Deadworld: War of the Dead. 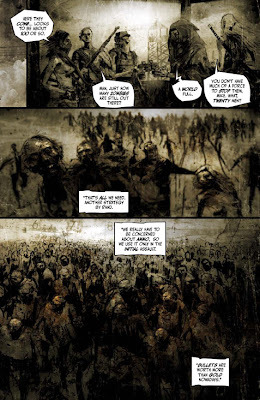 The comic (created by Gary Reed) is set in a world destroyed by a supernatural holocaust. For a while I read it in the past, I remember it was quite a twisted bleak comic that involved a bunch of teens trying to avoid the zombie masses. What made this different was that the zombies were led by intelligent ones, in particular King Zombie - the Harley riding sadistic leader. Intelligence gave the zombies a much more dangerous slant. What is exciting about this new miniseries is that for the first time Deadworld is going to be in colour, since it's inception in the late 1980's it has always been black and white which does fit the grim vibe the comic goes for. I have gotten a preview copy of Issue 1 of this 5 part miniseries (one issue per week for August), so on with the review. Deadworld: War of the Dead is a continuation of the main Deadworld story but thankfully does enough to introduce new readers without losing them in assumed knowledge. There is a lot to catch up on but the story does that well. There are 'lepers' who are basically humans trapped in decaying zombified bodies, and other human survivors, then there are the main characters who are given flash backs to bring you up to speed on them. Issue 1 takes place in and around a community college called Safe Haven, in the past it had been created as a way for a insane doctor to trap humans to experiment on, but due to it's defences it has been made into an actual safe haven. Despite this it still comes under constant attack by the hordes of undead. Sometimes with colour comes a lack of horror, but with Deadworld,s look this is not the case, the colour adds to the atmosphere in a way far better than black and white. The colours are all washed out, saturated browns, reds and greys that create a sense of suffocation onto the world of Deadworld. The artwork is fantastic, the sharp strokes of the pen giving detail to the bleak place. 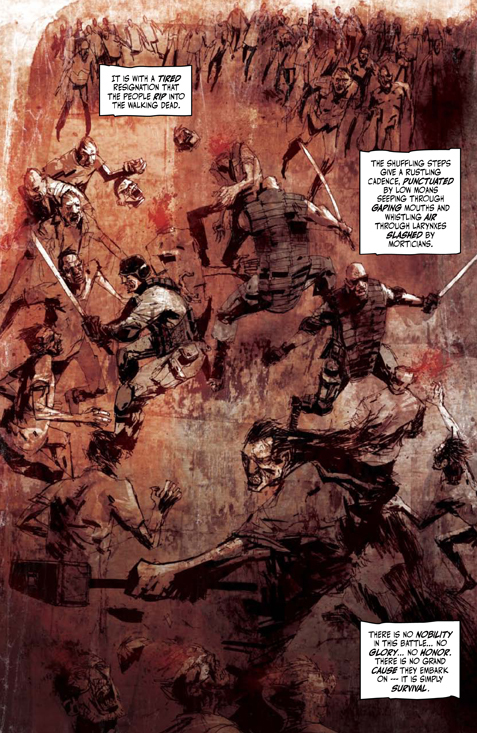 It reminded me a lot of the Silent Hill comics in the way it looked, though thankfully the artwork is more constant than it was there. 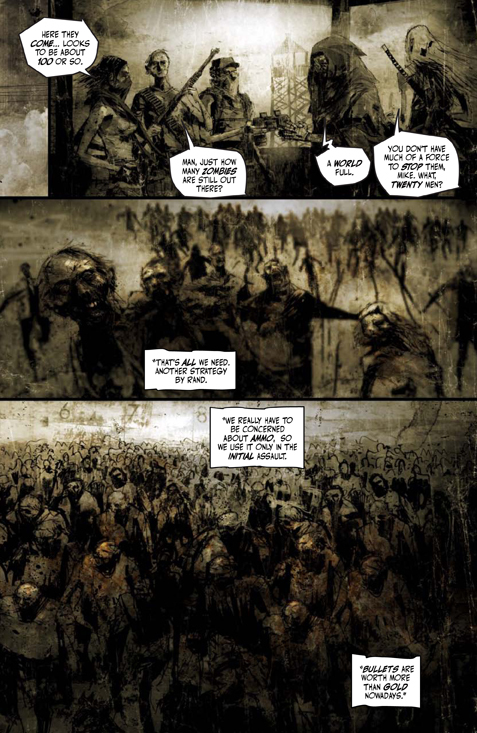 A great comic with literally hundreds of zombies, and an interesting premise (more so than the snooze fest The Walking Dead turned into) this is one to I'm looking forward to. 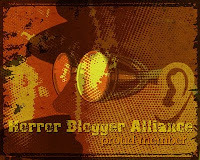 The Killing Games - Horror Film Banned!